One of the wonderful things about moving to Mexico was the chance it gave me to reinstate my status as reigning queen. Whenever I am feeling haggard, I simply go grocery shopping. In Mexico, instead of making me feel even more haggard, the task of grocery shopping makes me feel like I’m living on Park Avenue, or perhaps Avenida Presidente Masaryk. The feeling starts the minute I leave my condo, on the 11th and 12th floor of a resort complex. I feel compelled to point out that this is not a tourist resort for Americans and Canadians. It’s clientele is almost exclusively Mexican in low season. The condo rent costs about half that of my rent in Denver. Modest on the outside, the resort offers concierge service, good security, a restaurant and fresh towels and linens weekly should I choose. I actually don’t mind house cleaning. I’m just not very good at it. It’s a form of blindness. I need help. One day I was Skyping with a friend and she said with alarm, “Who is that moving behind you!” I said it was the maid. She responded, "The maid?!" "I didn’t know she was included with the rent,” I blathered, “Please let me keep her!” like I was asking for a pet pony. To embark on my grocery shopping, I take the elevator downstairs and usually give my key to the fellow at the reception desk. I don’t have a key chain for my house key yet and carrying a single, little key makes me nervous as hell. I am to keys as most people are to business expense receipts. Sometimes I bring down a bag of work-out clothes that even I don't want to touch to drop off to the laundry service. My clothes will be returned to me freshly laundered and softly folded for about four dollars 24 hours later. Then I ask them to call me a cab (I use Uber for other types of trips, but taxis have larger trunks for grocery shopping). In Mazatlán, calling for a cab on the phone is a hassle because on “green” day's eco-cabs painted with green stripes answer the calls for cabs while on “red” days, cabs that are red-striped receive the requests. On any given day, neither you nor a concierge will know whose day it is. If you call the wrong color, they don’t tell you. They just don’t come. So instead, the front desk of my building rings up the guard at the security gate that “La Senora” (which sounds a lot like “her highness” to me) requests a cab. As I walk across the parking lot toward the street, the guard is already whistling one down as I stand demurely (for the first time in my life) 15 feet behind him. The guard gallantly reaches for the door for me to enter. Off I go. In Mexico, people often sit up front with the driver, but on these days, I don’t because it takes away that whole chauffeured feeling I’m going for. Sitting in back like Hillary Clinton (who hasn't driven since 2006) and using my hand fan like Carmen Amaya saves me from the rare feeling, left-over from the pre-Uber days, that not having a car makes me a lesser citizen. I exited the Mega Supermercado with my groceries to the cab stand, where not only my cab driver but several drivers from other cabs made haste to make sure La Senora got all her bags in the trunk. No matter what kind of day I’m having, this display of chivalry always fixes it. Yesterday evening, I cabbed to a somewhat upscale department store. To my surprise, the store had hired a five-piece mariachi band in full regalia to celebrate the next’s day’s national holiday. Clearly, they cared nothing about inspiring shopping, as the trumpet and guitarra de golpe made it very hard to decide between Clarins extra firming night cream and the Lancome lifting radiance bisque. Bottled beer and horchata were flowing freely throughout the store, no I.D required. Platters of hors d’oeuvres of fresh seafood and elegant sweets were being served by uniformed waiters to an appreciative throng. How many times have you arrived to a free event 30-minutes after it’s posted start time only to find the buffet table scraped clean of everything but the carrot and broccoli sticks? When I left just before the department store closed at 9;00 p.m., they were still serving beer and hors d’oeuvres. I walked out with a full cup of beer in my hand, unhindered by any retail ABC border patrol. It was rather late, too late to make dinner. Beer in hand, I asked the next cab driver if he’d mind stopping by a taqueria and let me pick up a meal to go. When we passed the one I knew and it was closed, without my asking and with no explanation, he immediately made a u-turn and took me to another one he knew of a few blocks away. Three years ago, with a lot less Spanish, that move would have alarmed me. Chivalry is far from dead in Mexico and it isn’t reserved for foreigners. You see it in how men take their wives by the hand when boarding a boat or bus, whom they often call, “Mi reina” (my queen). You see it in the way they automatically pop to the side closest to the street when they walk down a sidewalk with you. You see it in their written communication. Etiquette is a bit different and more important to Mexicans. Good manners are practiced by both the educated and the day laborer. In fact, bad manners garner much more disdain than humble profession. Although I know the rules, in spite of my best efforts I am not yet consistent in following them. Sometimes I forget to switch to “usted” (formal you) when speaking to cab drivers and service people, whom are to be given that gesture of respect. I also forget to call out “Buenas dias” when I am arriving and leaving a store, as Mexican courtesy dictates. I fumble with titles, very important when addressing professionals here. The profusive cheek-smooching though, I have down pat. The courtesy I am shown every day is a constant reminder to get better, to be a better princess. Most stories you read about moving to Mexico are infuriatingly vague. They always tell you that you can have a better “quality of life,” whatever that means. For all the comforts of services you can’t afford to indulge in at home, the real measure of the better quality of life that you will experience in Mexico lie in the courtesy that you receive every day, in dozens of subtle ways. This is a great blog on Mexican hand gestures. I've always loved the gesture for money. You actually have to practice it a little, really bending your knuckles into the space of a deck of cards. Nicely written basics by Moon Travel Guides, "Everyday Customs and Etiquette"
I'd never heard the admonishment about tossing something, until I read this in Jess Weid's blog. Most recent: The most beautiful birds in Mexico. Next up: Even in September, Mexico's sun can be nuclear, so a few, often culturally-tinged steps can help you stay cool, and oh-so-Mexican. 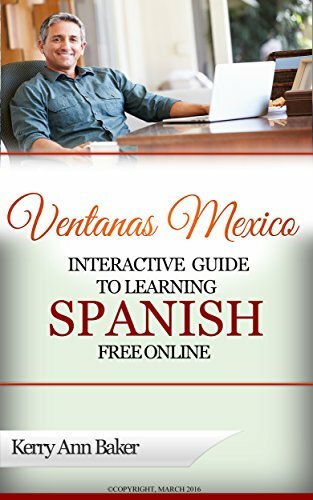 Kerry Baker is partner with Ventanas Mexico and the author of the "Interactive Guide to Learning Spanish Free Online," a meticulously researched guide to the best language learning sites and features on the web, with lesson plans. Learning a new language takes time. Why not get started today? Interested in a test drive? Take a look at renting in "If Only I Had a Place." her new book on Amazon. 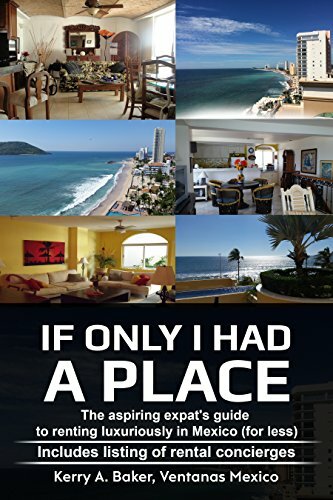 The book tells you how to rent in this very different rental culture and provides a listing of rental concierges in the most popular expat areas.